Tag Archives for " Wappalyzer "
I use the Chrome browser and judging from the data I get from Google Analytics so do 60.12% of my site visitors. Chrome is certainly winning the browser war at the moment and this is due in large part to the growing set of tools, plugins, and extensions that extend the power far beyond basic search. Here are the ones I rely on. 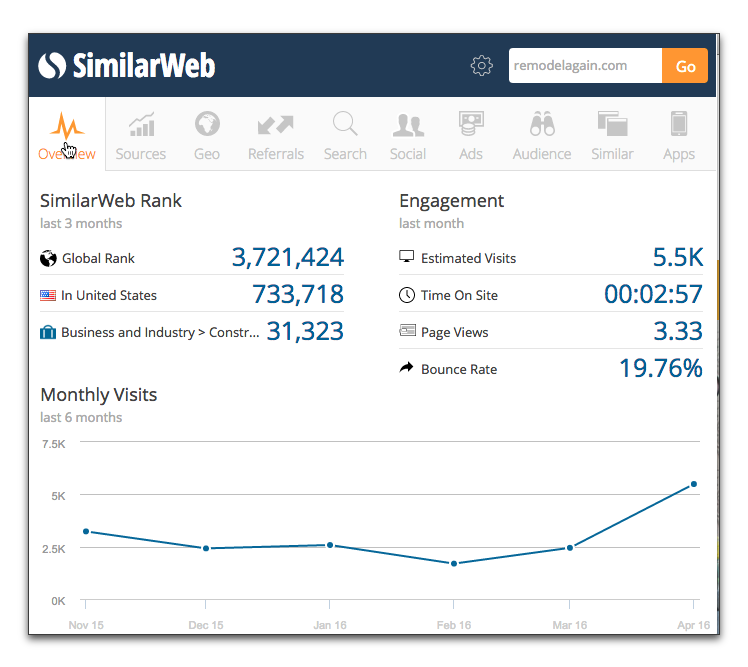 This free plugin gives you an instant look at things like the traffic rank, traffic sources, social engagement, and online advertising associated with any site. It’s a great way to make a snap assessment of a competitor – perhaps even identifying a few sources of traffic you could consider mining. It’s a great way to make a snap assessment of a prospect – let’s say you sell marketing services and want to help drive more traffic or help build SEO – this plugin give you a picture of the state of those elements. It’s a great way to make a snap assessment about any opportunity – maybe you want to guest post for a site or perhaps someone reached out to talk about a joint venture – this is an easy way to get some data about their online activity. 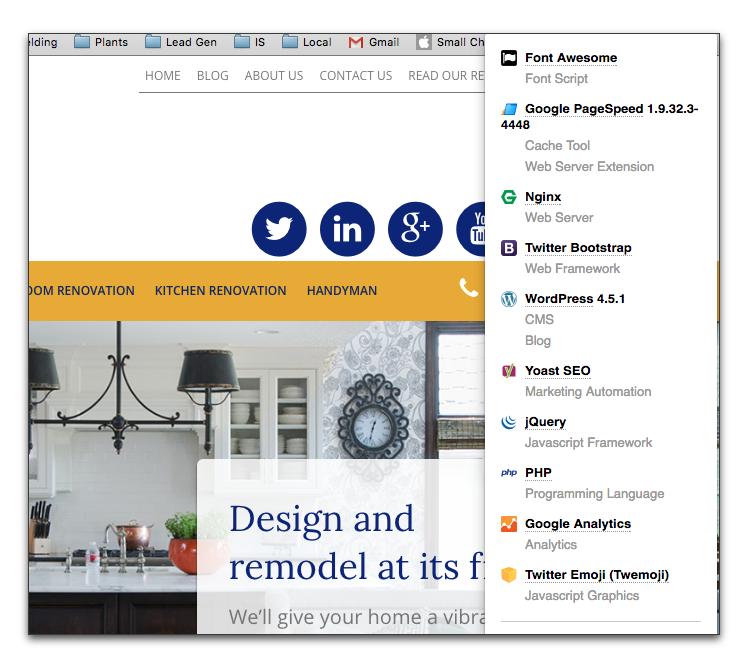 This tool gives you a snapshot of the technology being used by any site you visit. Again, why might this matter? It will also tell you if they use a plugin like Yoast SEO for WordPress – if you sell local SEO services this might be a nice clue. Or maybe you notice that they don’t even have Google Analytics installed – what could that tell you? You can find out why your competitor’s contact form looks so much better or if they are using Infusionsoft or Hubspot – this might be useful information and might just lead you to finding some better tools. 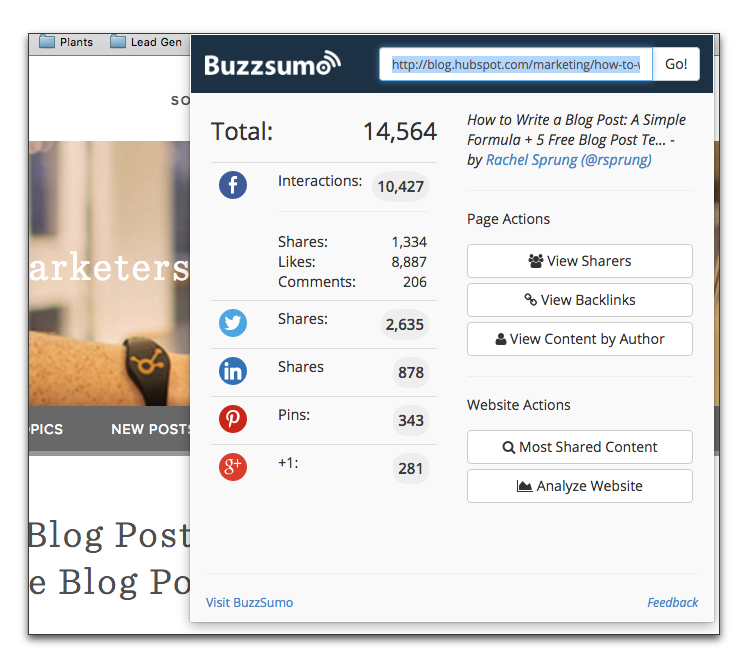 This is a great tool for finding the most shared content online on any topic or on any site. It’s great to help round out your own content calendar and find potential guest posts and contributors, but the plugin give you some instant data on sharing behavior for any page you land on, which can be great when assessing competitive content or even potential topics for your own content. Don’t forget your CRM – there’s a good chance that your CRM tool has a plugin that might make prospecting and adding data easier. I use few others as well, not for marketing, but for productivity – Buffer for social media management, LastPass for password management, Diigo for online bookmarking, HelloSign to sign documents in GMail and EyeDropper so I can figure out the value of any color on any website.